The implementation is a standalone Java swing application with an integrated database. The implementation has a simple user interface to feed the database with 10 selected pilot projects now, in order to check the integrity of the underlying database. 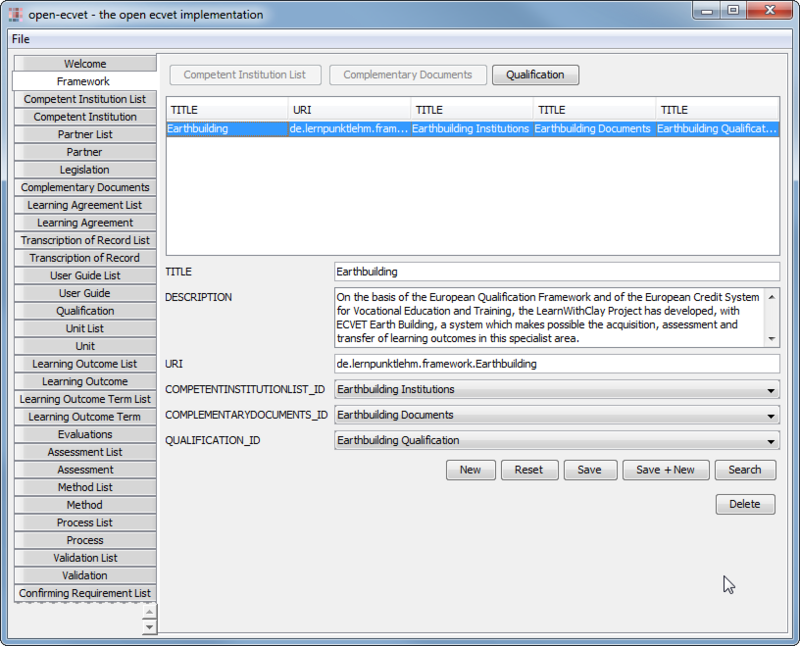 An xml export/import function and the generation of open-office text documents is planed and will be available soon.